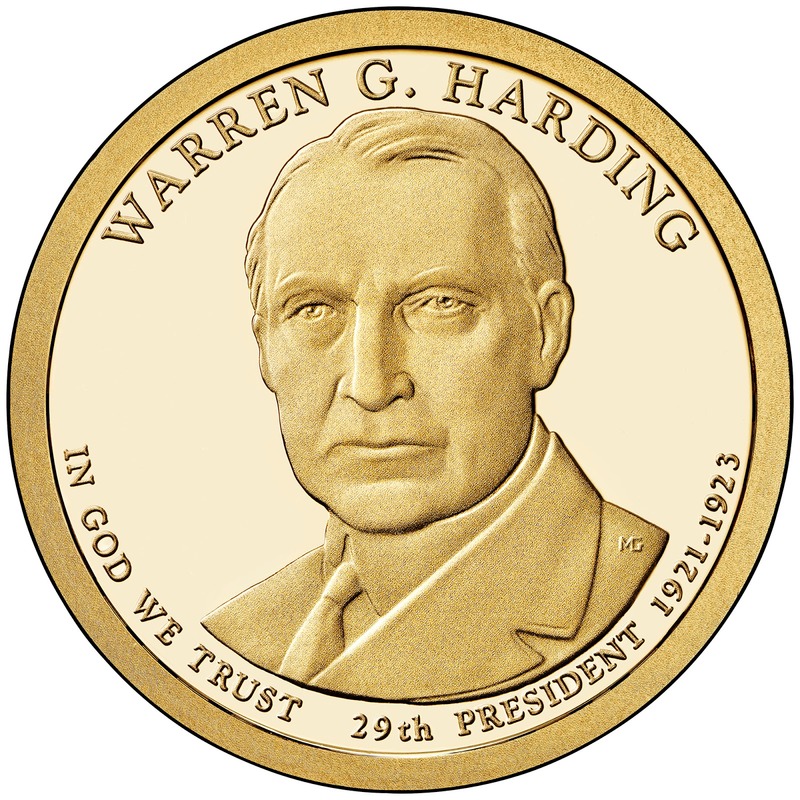 The Warren G. Harding Presidential Dollar represented the first release of the series for 2014 and the 29th release of the series overall. Following the earlier decision of the Treasury Department, the coins were not released for general circulation, but only available within numismatic products. Before becoming President Warren G. Harding attended Iberia College and became a newspaper publisher, teacher, and insurance salesman. He served as an Ohio state senator, Ohio lieutenant governor, and United States Senator. He won the election for president with an unprecedented 60% of the popular vote. He served as President for only two years before he passed away. The obverse of the coin features a portrait designed and engraved by Michael Gaudioso. The required inscriptions include the President’s name, the motto “In God We Trust”, the order of the Presidency “29th”, and the dates served “1921-1923″. The reverse features the depiction of the Statue of Liberty by Don Everhart. 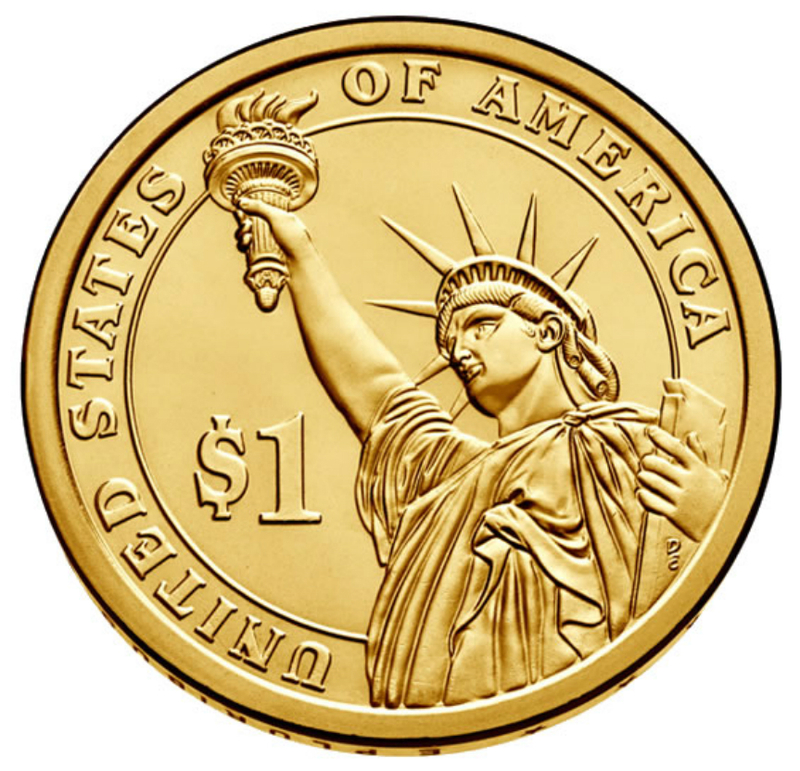 The inscriptions include “United States of America” and the denomination “$1″. The date, mint mark, and motto “E Pluribus Unum” are included as incused edge lettering. 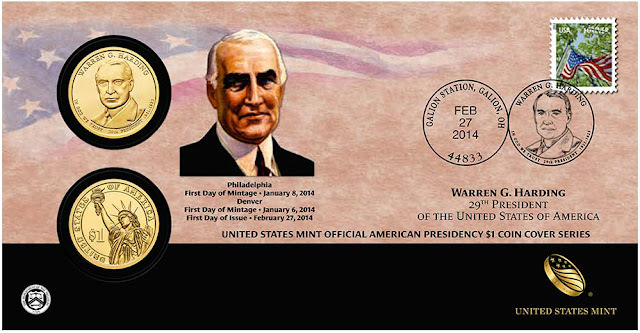 On February 6, 2014, the United States Mint began sales for circulating quality examples of the Warren G. Harding Presidential Dollar in numismatic bags, rolls, and boxes. These products were priced at a modest premium to the face value of the coins included. Throughout the year, collectible proof and uncirculated versions of the coin were also incorporated into various numismatic products. 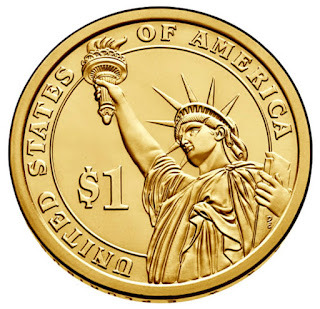 The United States Mint struck 6,160,000 circulating quality coins at the Philadelphia facility and 3,780,000 circulating quality coins at the Denver facility. Harding appointed a number of well-regarded figures, including Andrew Mellon at the Treasury, Herbert Hoover at Commerce, and Charles Evans Hughes at the State Department. A major foreign policy achievement came with the Washington Naval Conference of 1921–1922, in which the world's major naval powers agreed on a naval limitations program that lasted a decade. Two members of his cabinet, Interior Secretary Albert Fall and Attorney General Harry Daugherty, were implicated in corruption. The resulting scandals did not fully emerge until after Harding's death, nor did word of his extramarital affairs, but both greatly damaged his reputation. Harding died of a cerebral hemorrhage caused by heart disease in San Francisco while on a western speaking tour; he was succeeded by his vice president, Calvin Coolidge.